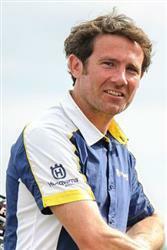 “No Tactics, because it’s just Flat out” Team GB Manager Mark Chamberlain talks to Dirt Hub before the weekends Motocross of Nations. Dirt Hub: So Mark it’s only a few days to go until the big one, the MX Des Nations. How are you feeling? so you gotta feel positive when you have so many plus points. What is the spirit like in the camp? It’s good. The boys have all worked well together, they are all good lads. We have had a good couple of days together now before the event. It’s important they all help each other. One result isn’t gonna be enough, all three riders need to do well, so its in everyone’s interest for all three riders to do the business. It’s a massive year for you to step into the shoes of Team GB Manager, what does the job entail? Obviously you pick the team but what else comes with it? Quite a lot to be fair because we wanted to add to the budget. We wanted to get the team in together earlier, which there’s costs involved. Also where they are staying, we wanted them to stay in a good quiet place, a quiet place. Then there’s things like getting Dean over, working with the Teams…. Everyones been really good but it costs money, everything costs money so we tried to create more budget. We are doing a Legends Dinner on the Saturday night with some of the older champions and our new team, to try and put money back in and we are having a VIP Marquee for the friends and family of the riders. We are trying to get a buzz off the event so that everyone gets that feeling, but those things do cost money. It’s like the merchandising, which we have done differently this year and done it ourselves. So each thing is positive and each thing takes work, and then there’s getting the riders gear organised, like the Helmets, making sure everything all looks the same and they all look good, all of that stuff like the teamwear, so it was a reasonably big role. It’s not as simple as “lets go and pick three riders” and turn up on the weekend, but I have enjoyed it. I have enjoyed the whole process, all of the riders, even the ones who didn’t get picked have all been positive so all and all its been a good experience. There has been a lot of talk on the team pick, but its time to move on from that and support the boys we have got…. Yeah exactly, at the end of the day I have picked the team that I feel is the strongest team for this event, taking in a lot of different things, pressure, experience, the riders, everything, and I have made that decision and if i have got that wrong, i have got that wrong. The riders I have picked are proud to represent their country, and that means all the fans should support the riders and the team and then afterwards that’s when you look back and go, ok did we get it right? I hope we have, and if we haven’t I have got broad enough shoulders to admit that I haven’t, but I believe in these boys so I am happy where we are at. 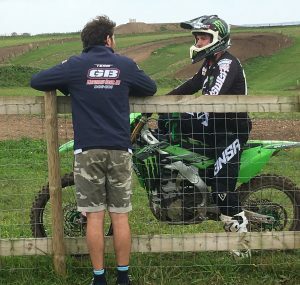 Obviously Dean and Max have both had pretty phenomenal end of season’s so Tommy is sort of the unknown, but he is looking good out there and he has performed well on a 250 before, he could be one of the key riders? 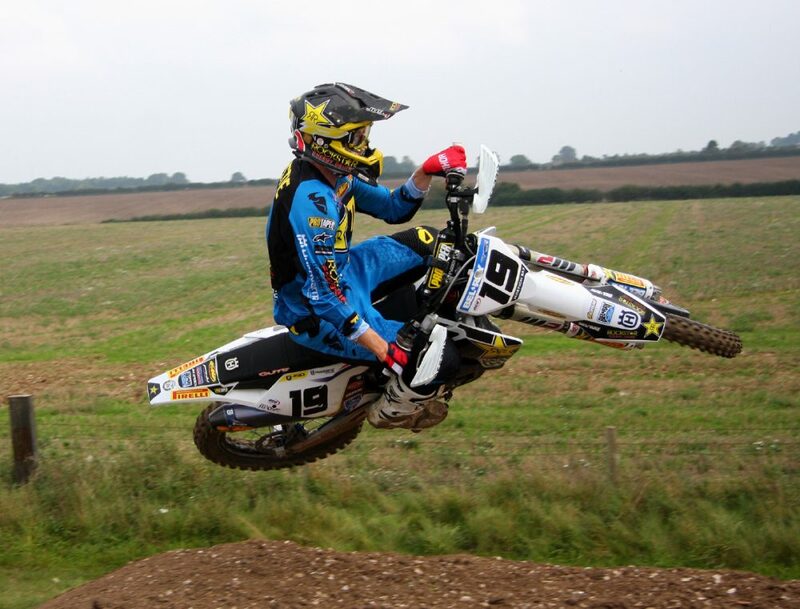 Yeah the 250 has got a difficult role around Matterley, its gonna be a bit of struggle, it’s a big wide open track. Matterleys a power track so that’s gonna be a battle to the end. One of Tommy’s strengths is his grit and his determination when he is really focused. He’s a very proud guy so that’s why we have gone that route. Conrad and all those guys are all good riders, Ben Watson..they are coming through but my opinion was to go that route and like I say, we will find out Sunday. In the MX Of Nations anything can happen, one bend can change the whole meeting, how difficult is it to communicate with the riders while they are riding because one position can make so much difference? Yeah I think you have got to keep it very simple, and then they only need to know where they are compared to who they are racing against, and then it’s a case of keeping clear signals on the board, and in between races it’s looking at it each race. As the day goes on it unfolds to be more crucial, but ultimately they just need to perform at their maximum, because we need them all up their scoring low points. 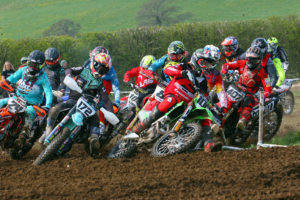 So there are no tactics because its flat out, and then the last race if you have got the luxury of tactics you can go from there, but if not you have just got to keep going to beat every rider in your class, so that’s the job for each rider. Lots of work has gone into the track and the facilities, obviously you have been there and checked it out, what are your thoughts on it? Yeah the whole thing looks really nice, they have done a good job. You never know how a track is going to race until its being raced. My opinion on some stuff is that at some modern tracks there are too many jumps to get the best racing, but that’s my opinion, but it’s a good track, its wide, there are passing opportunities, and I think the boys can make it work for them. A lot has been said about some of the teams being slightly weaker with injuries and riders having a rest period, so this must be Team GB’s biggest chance of success? I think it’s very open. Its always difficult with the Nations when you look at it and on paper you think, well he can match him or he can match him, you go through it like that, but in reality on the day there’s always a surprise, there always someone from a country who does really well, and it might not be the guys you necessarily think. You have got Australians who have got some good riders on good pace at the minute, there’s countries you might not automatically think of. It’s a shame some of the riders aren’t there because you always want the best riders there for the whole event, but its never easy, and you have to have luck on the day but we are confident. The team is strong, and like you said, a turn, a corner, a crash, so many things can happen in Motocross and when they are all mixed together, the 250’s, 450’s… they are not all racing exactly the same lines, the same corner speed, so you have got different elements, so we can only go there and try 100% to do the job, and ultimately we want to win it and if anything happens after that, it happens. We are not going there to try and nick a podium, we have to go there trying to do whatever we can to win it. If we don’t, we don’t, but you have got to try. Finally have you got a message for the fans? Just get behind the boys 100% because they need the support, and I sure the fans will. On the day they will be going mad and all the riders have spoken about how great it is, and how much of a buzz it is when those Union Jacks are waving, so cheer as loud as you can as they can hear it and they do appreciate it. A full event preview and interviews with the full team will be featured tomorrow. 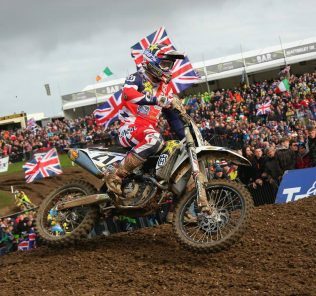 TEAM GB awarded Third in the 2018 Motocross of Nations due to illegal fuel!